Happy almost weekend! Let’s celebrate with sprinkles! 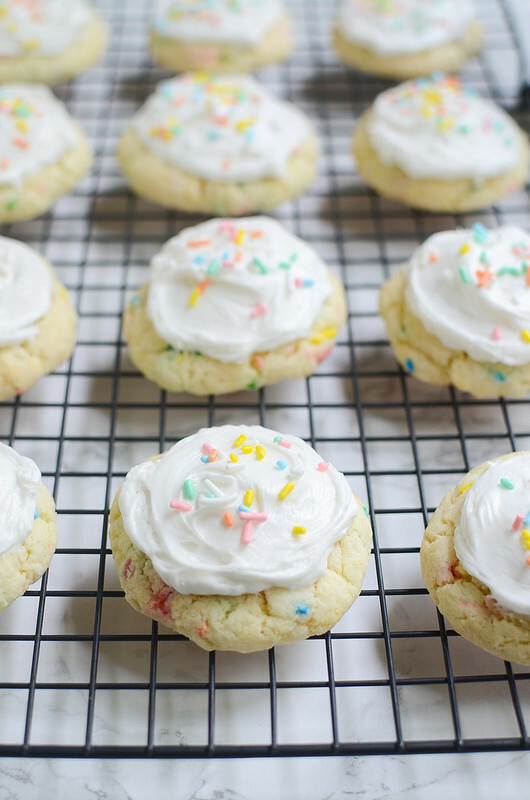 You guys, I’m obsessed with Funfetti right now. I can’t get enough. I’ve made cookies, cupcakes, bars, everything in the past few weeks. The sprinkles just make me so happy! I stock up on all my favorite Pillsbury cake mixes and frosting every time I’m at Walmart. 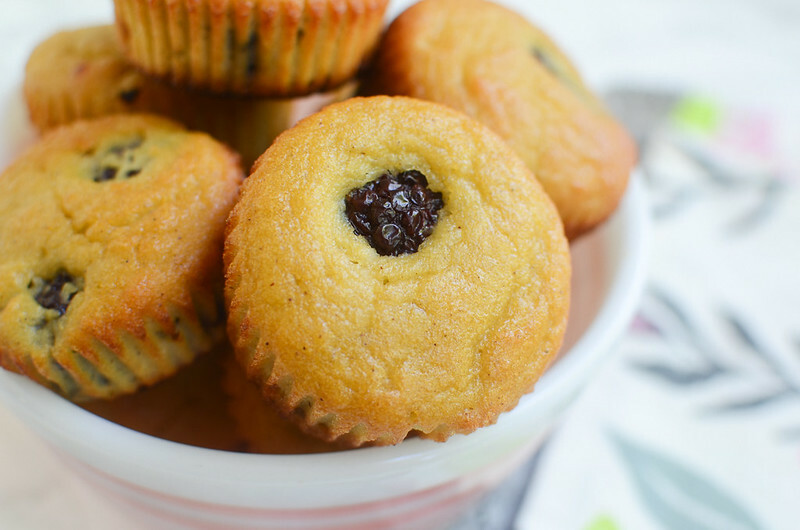 They’re perfect to have in your pantry for quick afterschool treats that the kids can help make! 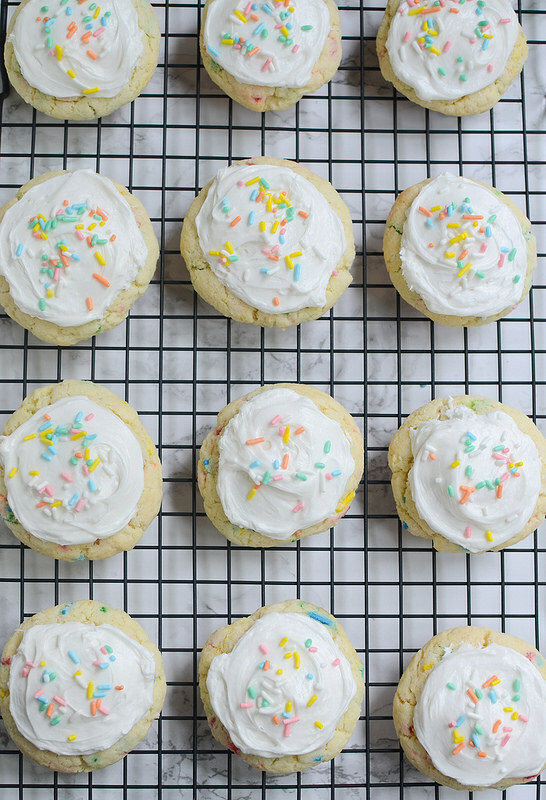 Mine especially love decorating with sprinkles which is why I chose to use Funfetti for these cookies. I did the baking, they did the frosting and sprinkling! It was the perfect way to #MixUpAMoment after a long day at school! These cookies couldn’t be simpler. 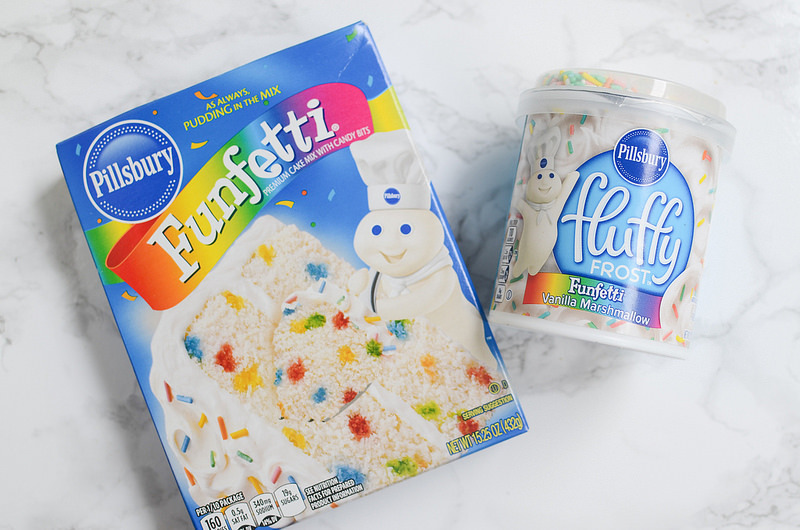 You just need the Pillsbury Funfetti cake mix, oil, and eggs! And the Pillsbury Funfetti frosting, of course. They bake for less than 10 minutes and then you can decorate them however you like! They are so delicious and so fun to look at it! I can’t get enough. 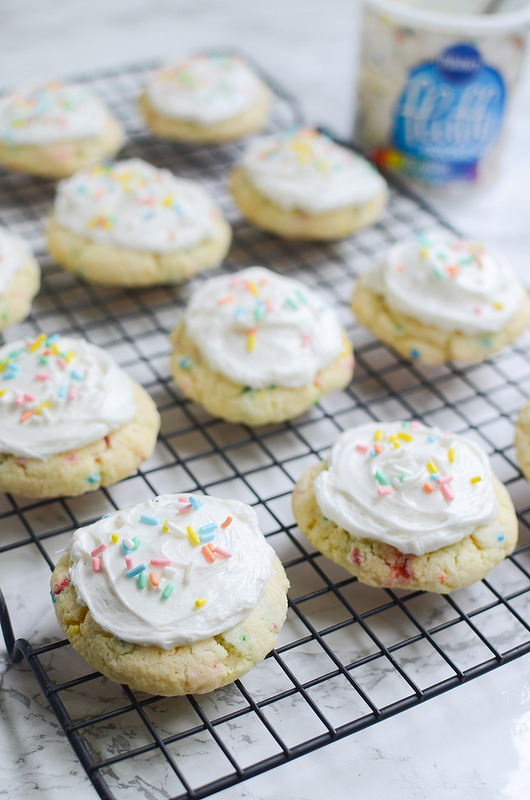 If you’re obsessed with Funfetti like me, you have to try them! I’ll be sharing a cute way to jazz up Pillsbury brownie mixes later this month so make sure you check back for that! And before you head to Walmart to stock up on Pillsbury mixes, be sure to download the Ibotta app to save $.75 on 3 Pillsbury baking products! And check out Pillsbury’s Pinterest page to discover more fabulous ways to use Pillsbury cake mixes and frostings! We’ve almost made it through the week, guys! We’re almost done! 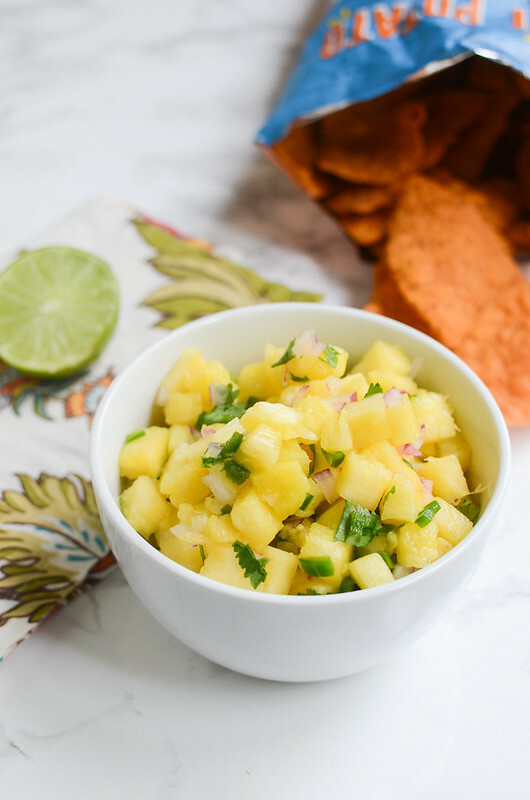 Let’s make tacos and put Pineapple Salsa on them. Taco Thursday could be a thing, right? Also, do you want to talk about how I’ve had Taco Bell breakfast TWICE this week? It’s a problem. I won’t even snapchat it (follow me! 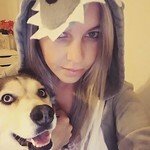 : amandalivesay) because I’m so ashamed of myself. 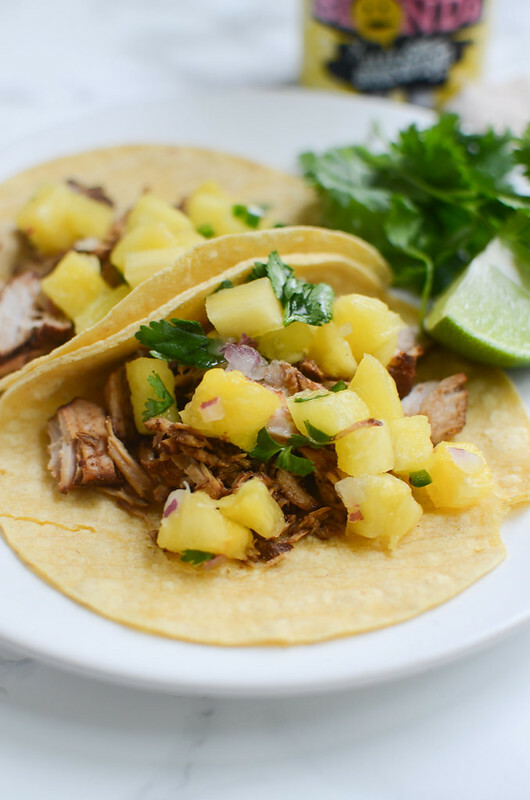 I made this carnitas recipe earlier in the week and have been serving it on corn tortillas with a ton of pineapple salsa on top and it is so beyond perfect. If you’ve never made salsa, it’s so easy you won’t even believe this. You don’t even have to find your blender for this one. 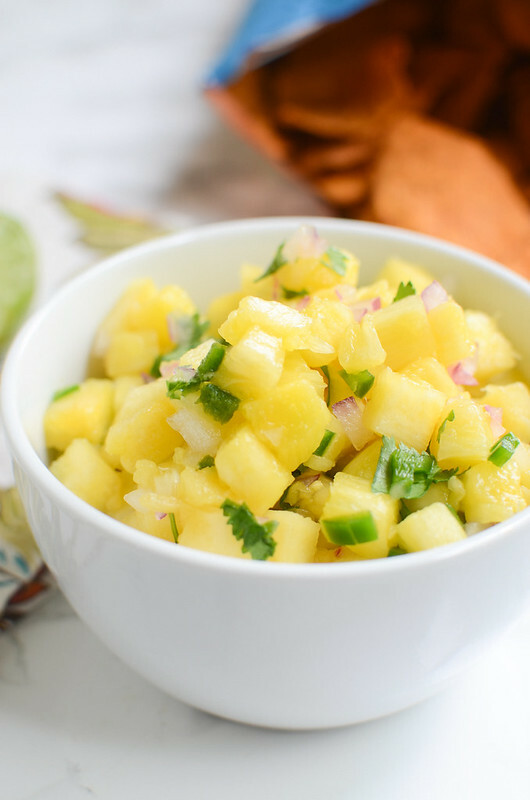 It’s just fresh pineapple, cilantro, red onion, and jalapeno tossed with fresh lime juice and a tiny bit of salt. You can throw it together in just a few minutes. Serve it with tortilla chips, put it on tacos, make burrito bowls, do whatever! It will be delicious with pretty much anything. Unrelated: who’s your Survivor winner pick? Mine is Cydney. I almost always choose a woman (last season being the exception – I love Fishbach!) and I hope to be Cydney when I grow up. This is a sponsored conversation written by me on behalf of Sara Lee®. The opinions and texts are all mine. I feel like the older I get (or perhaps the more kids/dogs I have), the easier I want cooking to be. I no longer have the time to spend all day in the kitchen making everything from scratch. You guys, there was a time that I actually made yogurt. MADE YOGURT. Who has time for that? So I’m always looking for delicious shortcuts to make my life easier. I picked up some Sara Lee® All Butter Pound Cake at Walmart recently. You guys already know I love the All Butter Pound Cake. Remember those fantastic Caramel Apple Shortcakes that I made in the fall? 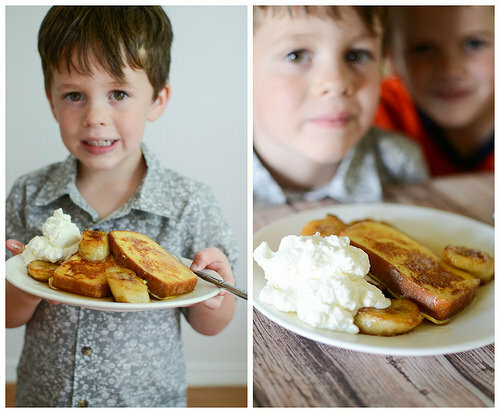 This time I used it to make the most delicious and yet so easy breakfast! The pound cake thaws in the microwave in just 10 seconds per serving which makes it get for quick desserts or breakfasts like this! So I sliced it thin and then dipped it in an egg mixture, just like regular French toast. While I was doing that, I cooked some bananas in butter and brown sugar so they got all caramelized and delicious. And then I topped it all with whipped cream and maple syrup. It was perfection. And this is the kind of meal that seems really impressive because WHOA! 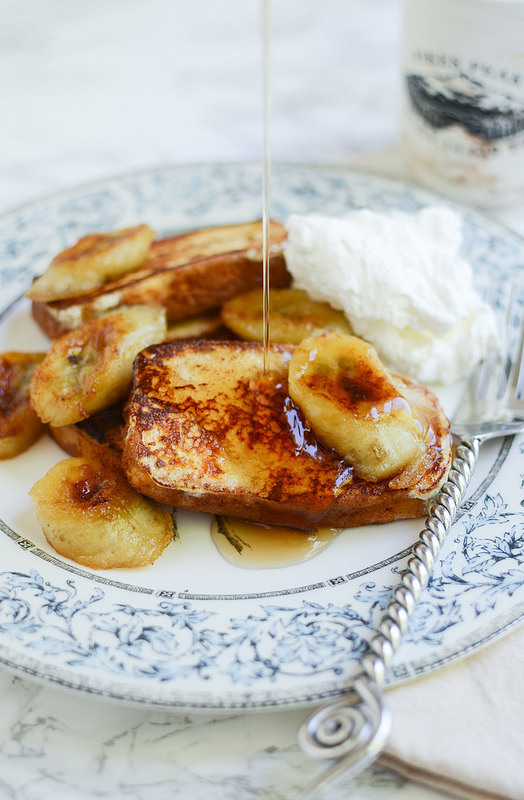 Caramelized bananas! 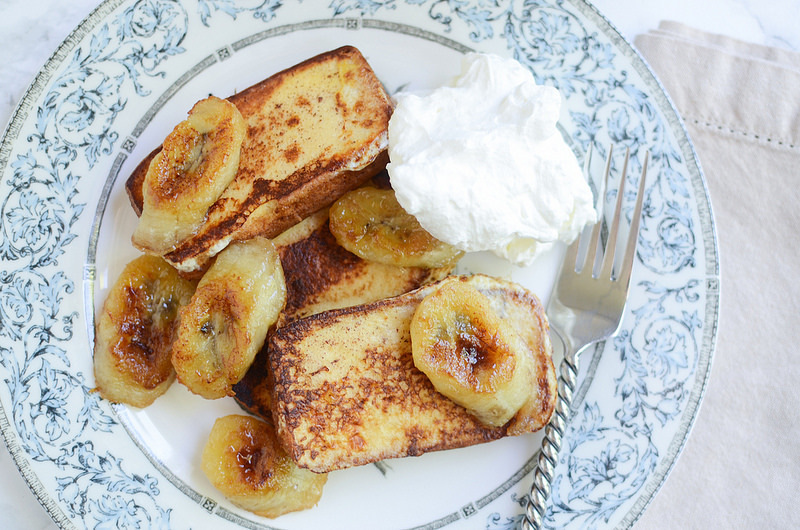 And the Sara Lee® All Butter Pound Cake just makes the most perfect French toast. It’s moist, the texture is perfect, and it’s made with the finest quality butter and eggs so it tastes great too! The great thing about the All Butter Pound Cake is that it’s also delicious served alone or topped a variety of different! A great way to bring the entire family together is to set out a toppings bar of ice cream, sauces, fresh fruit, and whipped toppings! 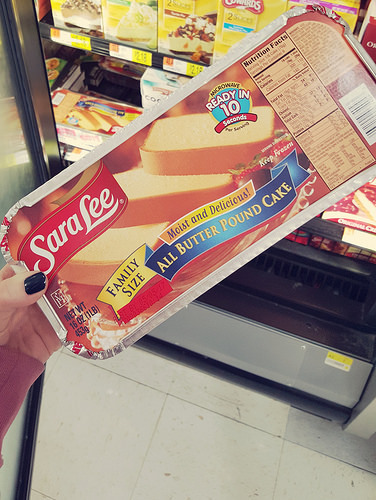 Sara Lee® offers many more pound cake options and they are always in season and perfect for sharing with friends and family – check those out here! I know, a healthy recipe from me. It’s been awhile since we had one of these, huh? My life’s been kind of a mess (I swear I’ll explain it all when I can) and I’ve been avoiding being an actual adult by doing things like driving to Waco for tacos or driving to Austin for doughnuts. It’s been fun but it’s time to get back to eating healthy. I mean seriously, bikini season. It’s right around the corner. I already bought my doughnut-shaped pool float. So in an effort to make eating healthy as easy as possible, I spent a good portion of the weekend prepping for the week. 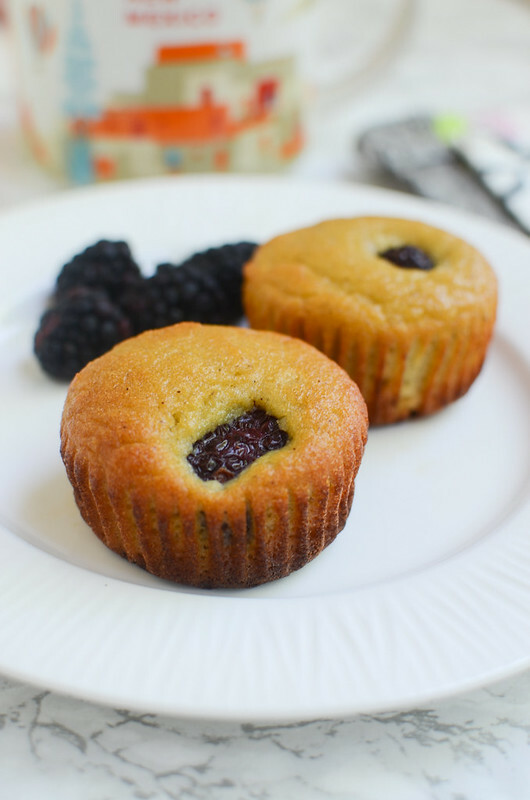 But I’m really excited to have these Paleo Blackberry Muffins for quick, easy breakfasts. You know I love a coconut flour muffin so of course I’m obsessed with these. 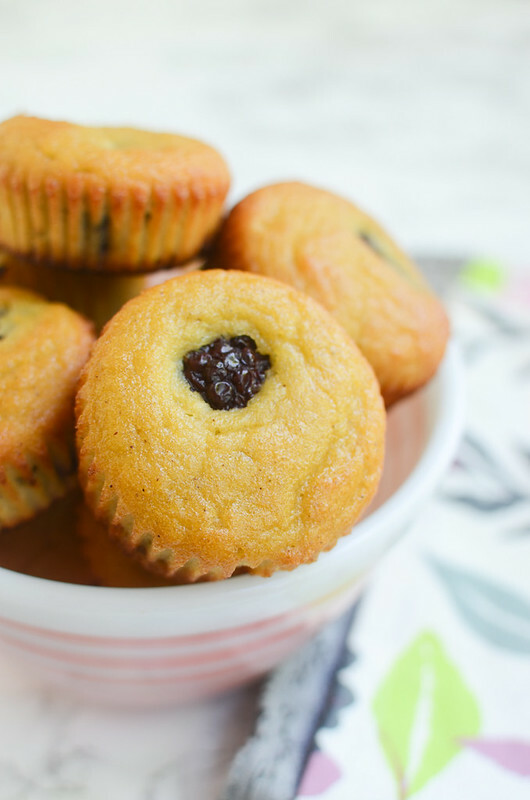 They are lightly sweetened with honey and then loaded with fresh blackberries. Because I can’t get enough fresh berries right now! If you’re not into the blackberries, try raspberries or blueberries! 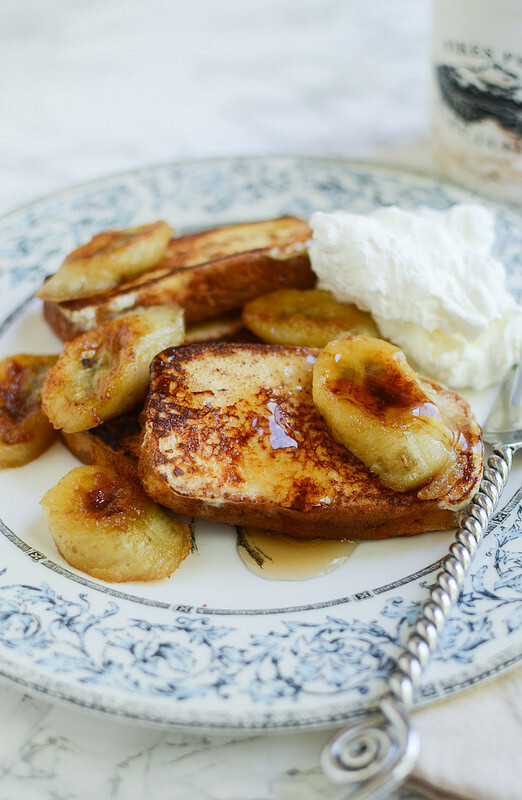 Make a batch of these and you won’t have to worry about breakfasts for the entire week! So we drove down to the lake and it was packed. Because it’s the Saturday before Easter and there was ginormous egg hunt that everyone in Killeen decided to attend. So we found a spot away from that mess and ended up having a nice little hike with the husky. And doughnuts afterwards! Duh. 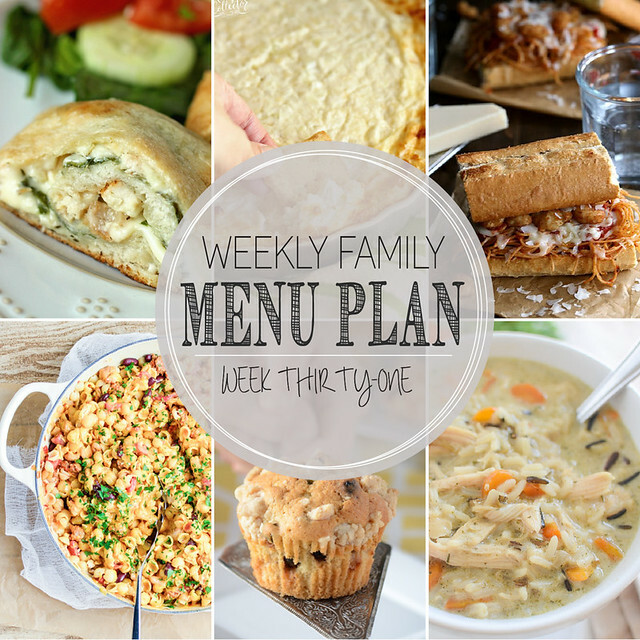 This week’s menu plan is looking delicious. So many awesome recipes! Happy Easter to those who celebrate! I hope you have a fabulous rest of the weekend!